If you’ve been following Domestically Blissful on Instagram you know that last week Roger and I went on vacation to the Florida Keys with some of his family. Now although I have never lived in the Keys they are like a second home to his family. 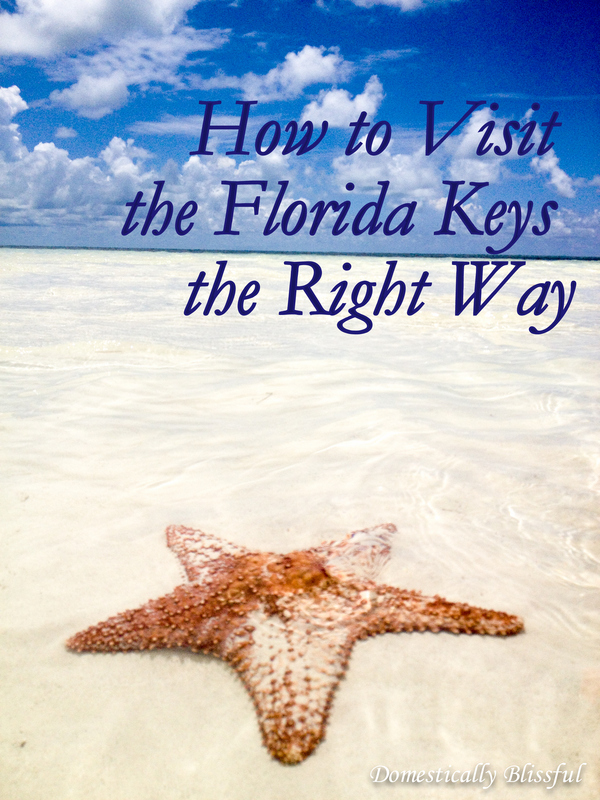 They have been visiting the Keys several times a year for more years than they can count! 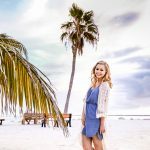 So today I thought I would share with you our trip and give you some tips on how to visit the Florida Keys the right way. 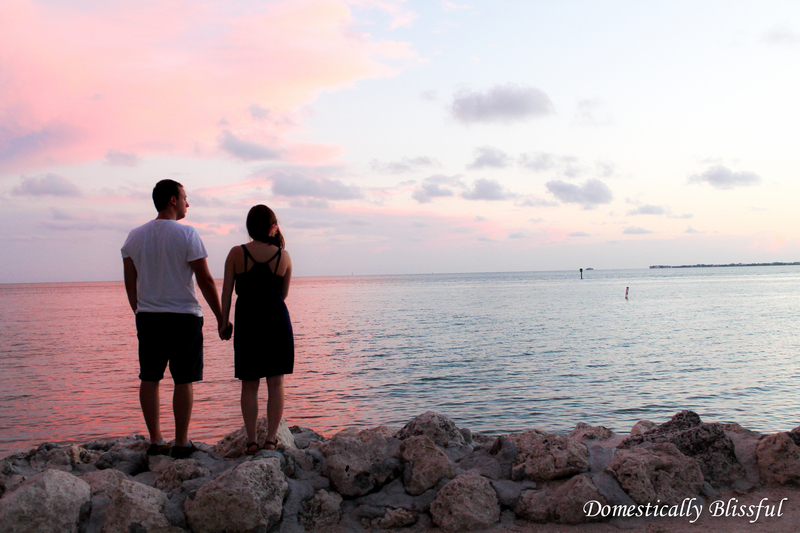 Last week we traveled from Tennessee to the Keys in one day! Oh boy what a long trip! We don’t always go by car in the past we have flown into Miami and if you do this then you can rent a car or take a shuttle to your hotel or condo. I would definitely suggest having a car in the Keys so that you can travel to the different islands and fully enjoy yourself! If you want to take your time traveling down there you could always break up the drive by stopping at a hotel along the way for a good night’s rest, but I prefer to get the drive over with so we can enjoy some Key Lime Pie on a Stick! Plus if you are driving with kids it can help to get them in the car early in the morning – 3-5 am in the morning – while they are still asleep so that they spend a good portion of the drive asleep and not continually asking how much longer. There are a variety of options in the Florida Keys – from the island you decide to stay on, to the type of accommodations you prefer. If you are a small family a hotel might suit your needs well, if you like night life you might prefer Key West. The Miller’s like to stay on Marathon Island in condominiums right on the beach – on the Atlantic side. This works great for us because we like to vacation in the Keys as a family. This trip included Roger’s parents, Roger and I, and 2 of his sisters with their families – which included 6 little ones. So by staying in condos we were able to get up when we wanted, eat/snack as we desired, and enjoy the beauty of the Keys on our own and with our family. The ocean is the main tourist attraction in the Keys. Clear waters and white sand make this beautiful paradise vacation right in the USA. 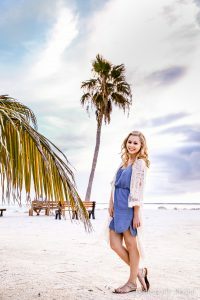 There are so many beaches for relaxing, snorkeling, building sand castles, and making lots of memories with your friends and family while soaking up the summer sun. If you want to get off the beach but still enjoy the beautiful blue water renting a boat might be for you! 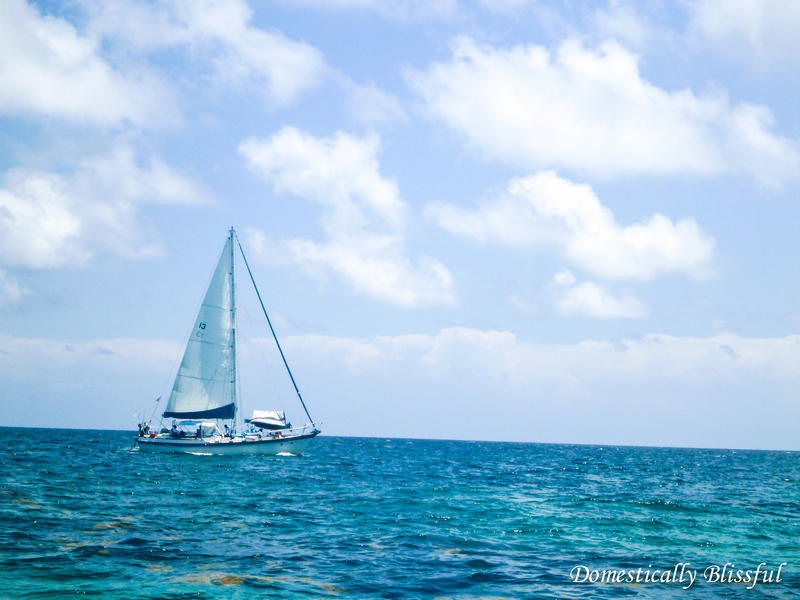 While most of our trip we spent at the beach and pool we did spend one day on a boat exploring the ocean blue. It can be a little frightening at first when you jump in the water and see a 4-foot barracuda right below you. However, he ignored us and we ignored him as we became absorbed in the beautiful world below us – there are just so many beautifully colored fish and coral! The first part of the morning I sat on the boat soaking up the sun reading and watching my husband and his parents snorkeling and using the snuba (this is like scuba diving but without the tanks!). In the afternoon, once the older kids woke up from their naps we headed to Sombrero Reef a few miles off of Marathon’s atlantic coast and did some snorkeling there as well. We even got to swim with a two foot turtle in his natural habitat! Talk about a dream come true! Another tourist attraction that you will observe the moment you enter the Keys is fishing. People fish off the old bridges, off boats, piers, and docks. I have seen everything from small fish to sharks to large stingrays being caught down there. If fishing is your thing, than the keys is the ideal ocean fishing paradise. If you choose not to stay right on the beach no worries there are an endless amount of public beaches and beautiful state park beaches. 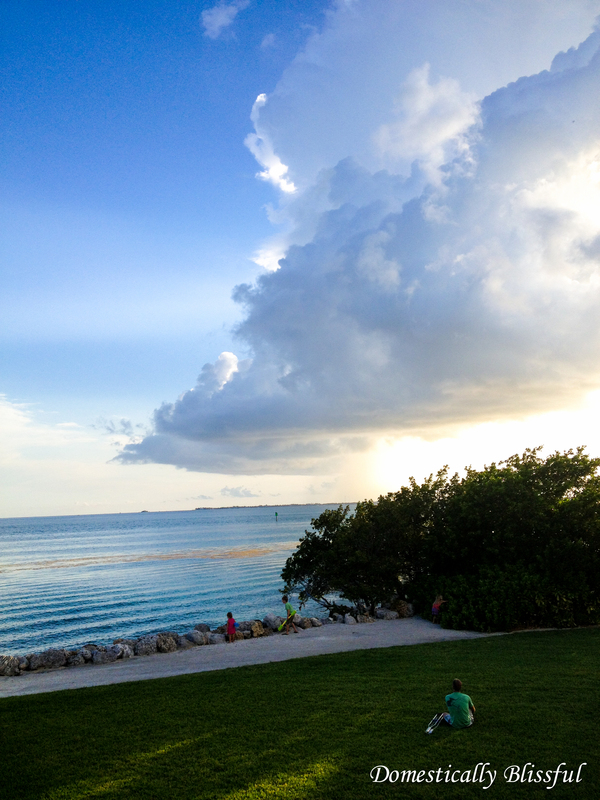 One of our favorite beaches – that we enjoyed 3 times last week – was Bahia Honda state park. I am going to be honest with you their beaches are starting to become overtaken by seaweed… But once you are out there it can be easy to forget. 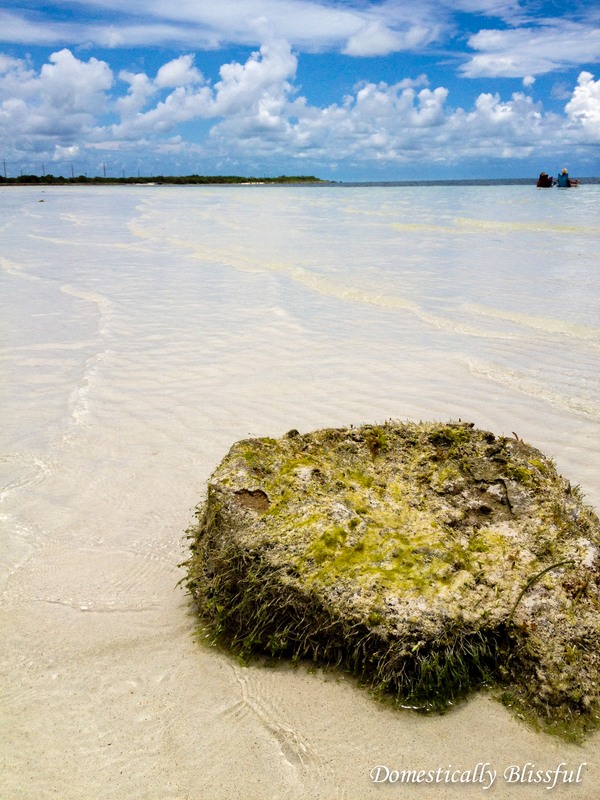 We prefer to go to Bahia Honda when the tide is starting to go out. It’s seriously the perfect depth for little ones and their floaties. They can enjoy the sandbars and the receding water. 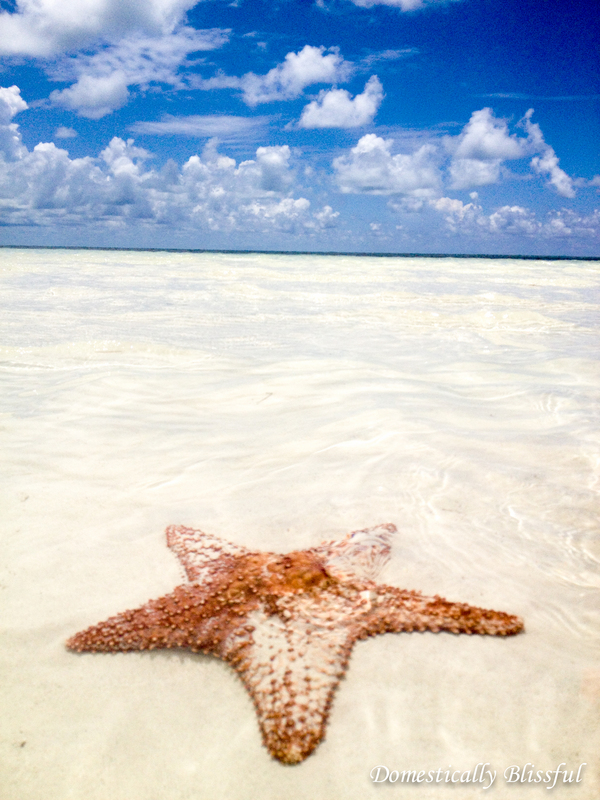 Plus if you take your snorkeling gear you can enjoy all of the beautiful ocean life! I know, I know. Not the first thing you think of when you dream about vacation in the Florida Keys, but I thought I would include it because it’s something my husband and his family has done in the past. Turns out biking the length of Florida Keys is actually a thing to do! You could either bring your bikes down with you or find a place to rent form while you are down there. This is a great way to see the keys tropical beauty first hand, especially in the winter when the water is fairly cold. Photo by my sister Chas. Now we didn’t go to Key West this time down in the keys, but if you want to take a day off from the beach and head to mile 0 there are many things to do and see down there. Two of my favorite places to visit in Key West include the Hemmingway Home and the Mel Fisher Maritime Heritage Museum. I haven’t had the opportunity to go to Dry Tortugas National Park, but since Roger and I go to the Keys about once a year I know that we will get their eventually. PS if you have been there I would love to hear about your experience! If you are interested in finding more things to do in the Keys you should check out Trip Advisor’s list! Hi, thanks for sharing your awesome Florida tips. My partner & I spent a week on the gulf coast in September and we absolutely loved it. Weather was not too hot and most of the kids had gone back to school so it was quite peaceful and relaxing! Would you also recommend Sept in the Keys for people who like the tranquility of few tourists? Thanks, Heath. My family travels to the Keys several times a year during many different seasons and they always love it! This summer there were definitely more tourists than normal, but if you are looking for an escape from people there are always little beaches that you can find away from people!